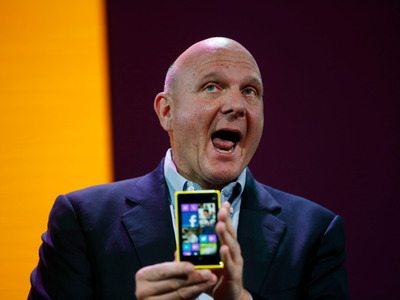 Steven Lam/Getty ImagesSteve Ballmer, former CEO of Microsoft, endorsed Twitter in a televised interview. Twitter has been on a tear recently. 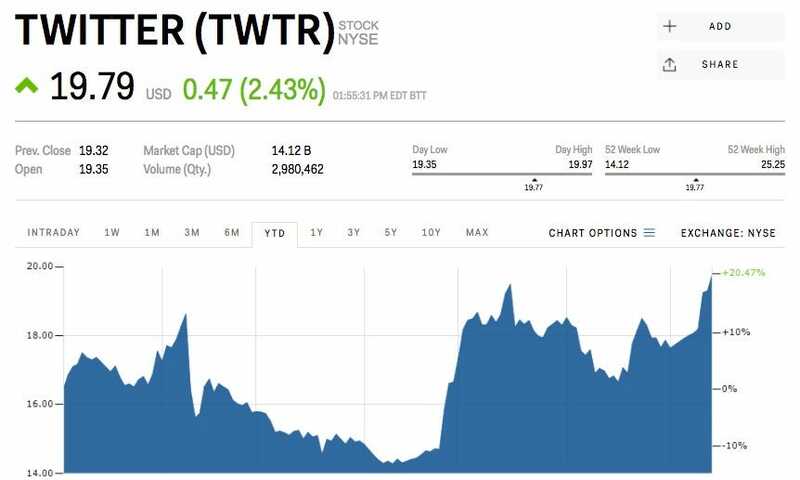 Over the last week, shares of Twitter are up 9.41%. On Friday, the stock saw a 2.23% bump after Steve Ballmer, former CEO of Microsoft, went to bat for the company. “Twitter is a very good asset,” Ballmer told CNBC. “Improving the products some and improving and making the monetisation better, I think the company has been on top of both of those things.” Ballmer is a major investor in the company. Twitter has been under fire for its slow user growth, confusing design and rampant harassment this year. The company, as Ballmer points out, is addressing these problems, albeit slowly. Earlier this month, Twitter redesigned its web and mobile services. The biggest change for users was the switch from square profile pictures to circles, which its users mocked initially. But the company also streamlined its design, and focused it more on live features like live “like” and “retweet” counts. The company also recently hired a new CFO from financial software firm Intuit. Ned Segal announced he would be joining Twitter on the platform and the stock jumped 3% on the news, even though Segal has only tweeted 21 times in the six years he’s been a member of the platform. Segal is helping Anthony Noto, who has been pulling double duty as CFO and COO. Noto is set to return to his COO role after Segal joins the company. Ballmer says that these fixes are signs of positive momentum at Twitter. He told CNBC the company will have to keep up the pace of changes in order to make a lasting impact. Twitter is still trading below its IPO price of $US26 per share, but is up 20.47% this year and trading at $US19.79.